Sometimes “standard” becomes “boring”. If you’re an avid casino player who has been playing for years now, you know exactly what I mean. At a certain stage Blackjack or Roulette can feel a bit monotonous. It doesn’t necessarily mean you are going to steer away from the staple games moving forward, it just means you need a little something to mix things up. We have selected 4 unique casino games that you should try. All of which are playable in Canadian online casinos and most of them can also be found in brick and mortar casinos in Canada or the USA. 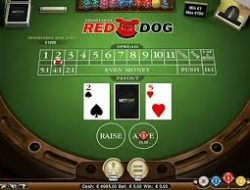 Red Dog Poker is playable in many online casinos regardless of the software used. We recommend Mr Green casino’s version. It will be quite difficult to find a live version of it, as the game (similarly to many other poker variations) has sunk in popularity since the hold’em golden era. This variation of casino poker has increased in popularity significantly in the past 20 years, but is still quite scarce in Europe. In North America though it’s quite standard, but not “popular” per se. The game is extremely simple for those who understand the Texas Holdem rules, and even quite advantageous in comparison with most casino games, reflecting less than 2% house edge. The way it is played is simple: cards are dealt in the same fashion as Texas Holdem. Then, there’s a pre-flop bet (“raise”) of x3 or x4 of the original wager (you could also just check). Then, a post-flop wager (x2 if you haven’t raised yet. If you already raised you can’t place any more bets). Then a turn and a river, and afterwards you can decide whether you want to match your bet (like calling a raise) or fold. If you already raised in one of the earlier phases you automatically call without adding any more money. Then, your hand is matched to the dealer, and you can win anything from x0.5 of the amount you wagered up to x50 if you hit a straight flush against a dealer’s hand with at least one pair. It is most certainly NOT Texas Hold’em but it’s very enjoyable for those who enjoy the game. It is playable in almost any of the best online casinos. Read our elaborated reviews to find our top selections. Tip of the day: if are you playing this game in a brick and mortar casino which allows players to share their hands before the flop, you should take this input into consideration. The more cards which are “out”, the more concise your bet will be. In fact, if you are able to quickly calculate information from your surrounding, you could be at an advantage against the casino. Do you remember the plain children card game named War? It is now readily available on several of the top online casinos in Canada which use Microgaming software like Spin Palace, alongside local brick-and-mortar casinos like Niagra casino. 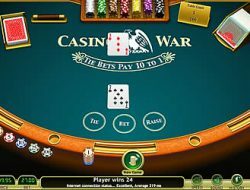 The biggest advantage of playing Casino War (which is essentially the same game as the Children’s game, played against against a dealer) is the simplicity and the fact that unlike other casino card games, it doesn’t require any strategy or thinking. It’s a pure gamble with a fairly low house advantage (as low as 1.2% advantage). This game is actually quite popular in brick and mortar casinos. You can find it usually at the entrance of some of the world’s largest and most well known Vegas casinos like the Mirage. 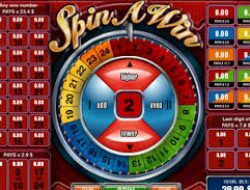 It is also available on Playtech platform known as “Spin a Win”, and it playable on William Hill Casino. The game’s biggest advantage is that you can place mini-bets of $2 a spin, and in all odds, you could be spending hours of fun risking less than CA $100. It’s biggest disadvantage is that it can become boring quite rapidly. It is never a bad thing to mix up your game from time to time. It allows you to refresh and turn your gambling activities into what they should be and often disregarded – fun! You don’t have to play these games at high stakes, just a small taste of them can bring a smile to your face and it all that matters. You can generally find these more unusual games and others like them at casinos running Microgaming software such as Royal Vegas or Playtech powered casinos like William Hill.